In the backdrop of the financial crisis, when the dreaded flood hit Sri Lanka, my mind went back to the time of 2007/08 when the war was ranging at its highest with the prices of petroleum touching $ 150 and foreign reserves were at just one month, I met the former World Bank Economist for South Asia Ejaz Ghani. I asked him what would happen to the country in such a backdrop. His words were crystal clear: “Don’t worry, God is a Sri Lankan.” True to his word, the commodity bubble burst in three months for oil to hit $ 28 dollars and war came to a close and it was boom time for Sri Lanka. In fact, Ejaz walked me back on the economy for the last 50 years and proved how every time Sri Lanka has been confronted with challenging times financially, there has been divine intervention. 9/11 and the tsunami are classic examples but sadly Sri Lanka as a nation failed to harness the situation. In this historical backdrop when I look at last week’s ‘2016 – flash flood,’ in my view it is yet another opportunity with which Sri Lanka can really harness the opportunity to develop infrastructure. The $ 1 million dollars from the Saudi King, $ 33 million from the EU and the announcement from G7 of Rs. 33 billion is the start for greater flow into the country. I guess time will tell if Ejaz Ghani is right this time around. Let›s accept it, Sri Lanka has never been challenged with such a financial challenge as now. Last week reports state that the $ 8.5 billion debt bill, if discounted for the hard cash on the reserves, brings down the number to $ 5.3 billion. This means the IMF facility of two billion will not be enough to cushion the shortfall. Whilst being sensitive to those affected by the floods, current estimates are at around 15 billion rupees. Given the external outreach of the current Government and the marketing plan at play, that has already garnered money to the kitty in the last two weeks. In my view we might see Ejaz Ghani’s words of wisdom becoming a reality. The pitch by the Prime Minister for Sri Lanka at the Rotary International Conference in Seoul over the weekend was classic to my mind and will sure have a positive rub-off on the country. The reception to the Head of State at the G7 summit was really encouraging to the private sector which is patiently waiting for the turnaround of the economy since 8 January 2015. Whilst understanding the reality on the debt prism that was committed prior to 8 January 2015, the research insight on the TNS Lanka study last week for LMD sure surprised Sri Lanka. In fact it is quite staggering. While 62% blame the current Government for the financial situation that Sri Lanka is up against, 71% state that the previous Government created the chaos. What was more worrying and needs to be addressed by the President and Prime Minister is that to the question ‹Is the economy in good hands?› a mammoth 75% say that they are not favourable to the current administration. This is very serious given that the UNP has a history of being pro-economic growth driven and being very private sector savvy. For some of us who have agreed to serve the country for two years, post serving the UN for a five-year tenure, this research insight is very worrying given that we are part of the economic development agenda. Maybe it’s time to take stock and go back to the drawing books and relook at the strategy. Maybe it’s time that we chart a new partnership agreement with the private sector so that we have a more inclusive decision making process where these perceptions can be corrected. In this backdrop, the Prime Minister announced the launch of a four-year development plan at the UNDP National Summit on foresight and innovation which sure breathed a positive vibe. The overriding strategy of Sri Lanka becoming part of the global value chain on the ethos of sustainable development was mentioned and well received. Sri Lanka now needs to take cutting edge decisions driving ETCA and being part of the Transpacific Partnership Agreement, etc., whilst also looking at trade agreements with US, Vietnam and Japan, which must be mandatory. We have to connect to the world and also secure GSP+, which is challenging given the criteria outlined by the EU on the humanitarian side. But we have no alternative now given the financial crunch Sri Lanka is challenged with. "Sri Lanka now needs to take cutting edge decisions driving ETCA and being part of the Transpacific Partnership Agreement, etc., whilst also looking at trade agreements with US, Vietnam and Japan, which must be mandatory. We have to connect to the world and also secure GSP+, which is challenging given the criteria outlined by the EU on the humanitarian side. But we have no alternative now given the financial crunch Sri Lanka is challenged with. The four-year plan focuses on tourism, digital economy, Megapolis development, Kandy City Centre, Public-Private Partnerships for job market training, rural sector development on agriculture, investment and promotion, and power and energy and will sure make Sri Lanka a power nation in Asia"
The four-year plan focuses on tourism, digital economy, Megapolis development, Kandy City Centre, Public-Private Partnerships for job market training, rural sector development on agriculture, investment and promotion, and power and energy and will sure make Sri Lanka a power nation in Asia. But the weakness that needs to be addressed is how the key bureaucrats are going to implement this as they are going in and out of FCID, President’s Commission, Bribery and Corruption or Fraud Bureau. They need to be focused and driven on this focused agenda. Given that I headed the National Council for Economic Development (NCED) for almost three years, my pick up is that if the Government machinery wheel is to turn, there has be strong leadership at the political end along with strong support to the technocrats to cut through the clutter at the line ministries. This is the challenge that we have to address in the near future. 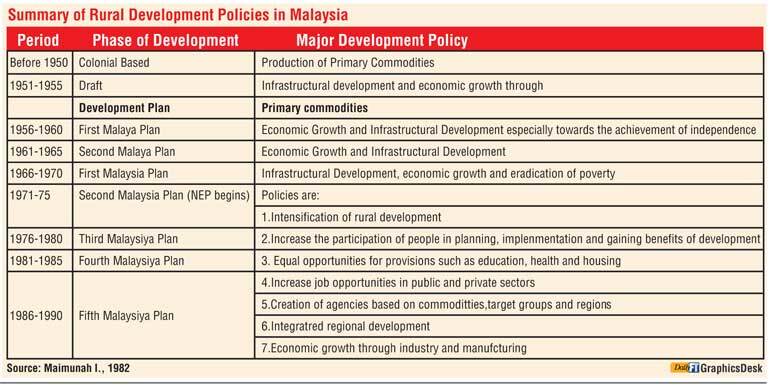 Malaysia, having identified this in the 1985 strategy, allocated above the national average investment on infrastructure so that it set the stage for the economic contribution today for the country to hit 25 million visitors and $ 22 billion dollars in revenue. What Sri Lanka requires now is a cutting edge step change strategy development just like Malaysia if we are to really do justice to the new Sri Lanka that people voted in on 8 January 2015. 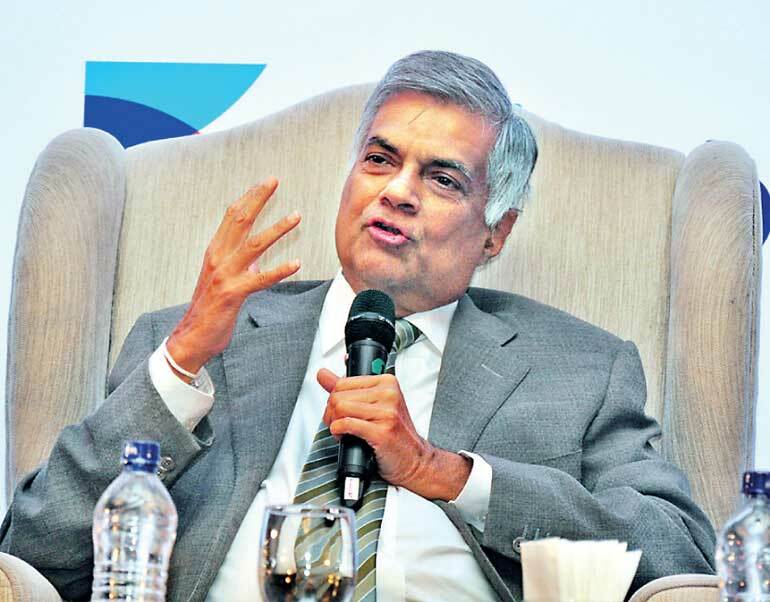 Sri Lanka has lost two chances to become the tiger economy of Asia in the recent past – the tsunami and in 2009 after defeating terrorism that was not exploited. Now the 2016 flood has given some light to a new opportunity in the backdrop of an outward driven Government at play and the strong private sector attitude. But it cannot be done unless a strong Private-Public Partnership can be garnered, which means the last LMS survey findings have to be addressed.